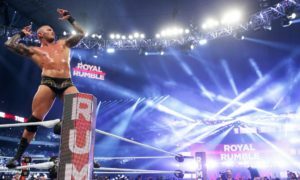 WWE world heavyweight champion Randy Orton confirmed via tweet that he suffered a concussion over the weekend in Spain. Orton was knocked out over the weekend in a match and is questionable for WWE Capitol Punishment. The injury explains the whole angle on Monday night when Orton was told that he couldn’t wrestle because of a concussion. It was said as part of the angle that Orton would still wrestle Sunday but that is certainly not a given. Randy Orton also confirmed the news on his Twitter account. Someone asked Orton why he didn’t wrestle at the WWE All Star Night RAW show in Long Island, NY. Orton responded with the following tweet. On a side note, I just want to say that Randy Orton appears to be one of the most fan friendly wrestlers in the WWE when it comes to the social media. While most of the WWE superstars just send messages back and forth between friends, Orton is constantly tweeting with fans and answering questions. 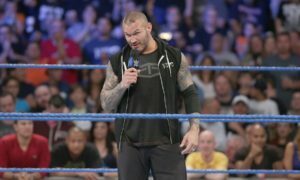 The news and tweet explains why Orton didn’t wrestle at either WWE All Star Night or the SmackDown taping on Tuesday night. I won’t give away too much of the SmackDown spoiler, but Orton sat out for the first time in awhile. He did get physical in the main-event but nothing that would have put him at risk for a head injury. The WWE is in a real interesting predicament. Up until a few years ago, Orton would not only be a go on Sunday, he probably would have wrestled Monday and/or Tuesday. However, with so much information coming out about concussions and head injuries, and Linda McMahon’s political aspirations, it would shock me to see Orton wrestle Sunday if he can’t get clearance from an impartial doctor. It sure didn’t take long for all of the warning signs a few months ago regarding the lack of depth at the top to become a problem. Once Edge retired, Orton and John Cena became the only two full-time top superstars on the roster. This puts the WWE at incredible risk if one of the two guys has to miss time due to injury. Orton already has a history of injuries, and there were reports a couple of weeks ago that John Cena is really beat up physically. The reality of the situation is hitting the company now. I would hate to see Capitol Punishment lose the Orton vs. Christian match, but it isn’t something that is going to kill the show. I have become a huge fan of their matches and was really looking forward to seeing them go one more time like most fans are. In my opinion, Orton vs. Christian has been the feud of the year thus far in 2011. However, there are probably more fans excited about seeing R-Truth in the main-event to compensate for anyone who wouldn’t order the show due to Orton’s absence. By luck, SmackDown has also set itself up over the last few weeks for a Plan B. Sheamus was injected into the Orton vs. Christian feud over the last few weeks and a Sheamus vs. Christian match to replace Orton vs. Christian would work given the current storylines. It certainly wouldn’t be the same quality, but in terms of storylines, SmackDown wouldn’t miss a beat if they had to go down this road for one night. I just hope that if Orton is not going to wrestle that the WWE alerts the fans ahead of time. TNA Wrestling has been heavily criticized in the past when they failed to inform fans of any last minute changes to pay per views before bell time. The WWE can reach a lot of people through their website and social media over the weekend if Orton is scratched at the last minute. If I was going to take a guess I would think that Orton doesn’t wrestle. There is just too much negativity that can come from this and quite frankly, it wouldn’t hurt the buy rate either way. But I don’t think anyone will know until Orton follows up with doctors in the next few days. The upside to Orton missing Capitol Punishment is that we likely get another month of Orton vs. Christian leading into Money in the Bank. Check back here at the Camel Clutch Blog for any last minute developments.